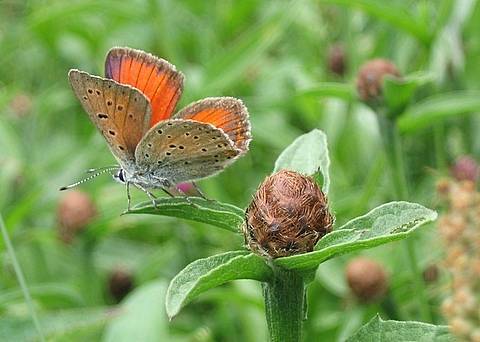 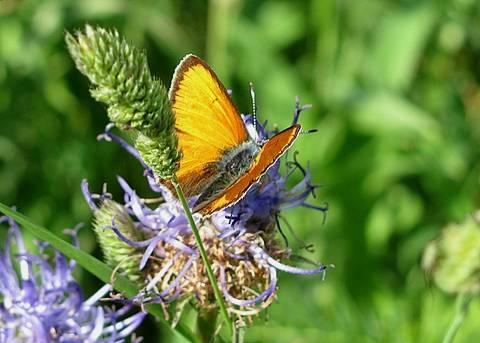 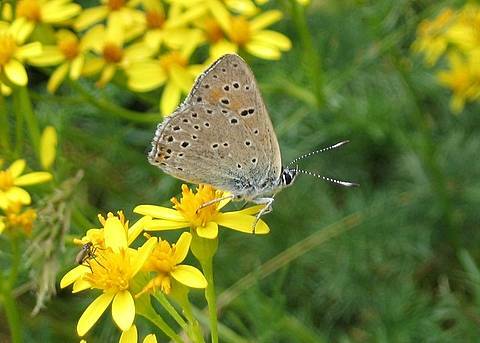 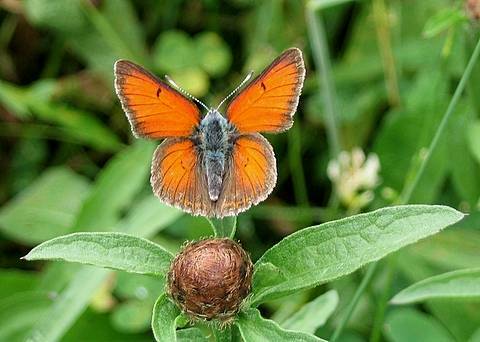 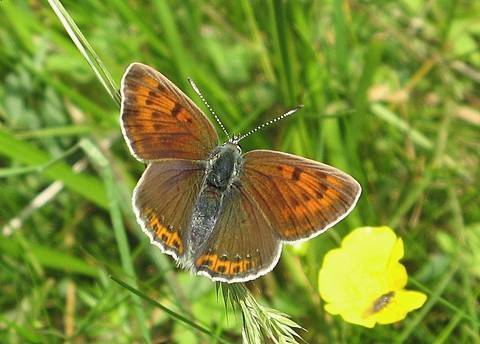 The Purple-edged Copper, like its cousin the Scarce Copper, is a copper of upland areas within its central/southern European range. 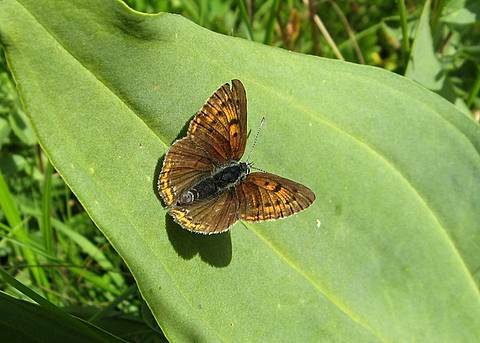 The male is quite a solid orange on the uppersides though not as bright or extensive as L.virgaureae. 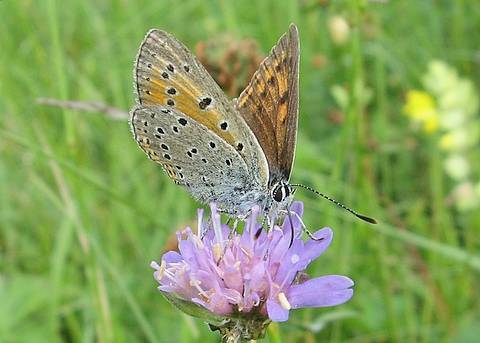 There are purple reflections around his wing edges (hence the name) though these are only visible from certain angles and are more or less intense according to the locality.